Earl Damitz has been a United Way champion since 1953 when he was involved with United Way in Los Angeles. Earl and Merrilyn married in 1969. He had two children, Merrilyn had one and they later had three together. Earl and Merrilyn moved to Santa Barbara in 1972 and immersed themselves in the community. Earl was a partner of Arthur Andersen & Co. and then became a founding partner of Damitz, Brooks, Nightingale, Turner & Morrisset. He became a Board Member at United Way of Santa Barbara County. Merrilyn focused on the important work of being a mother to their six children. While a member of the United Way of Santa Barbara County Board of Directors in the late 1970s, Earl proposed the establishment of a planned giving program. A seasoned participant in almost every phase of United Way's organization, Earl's enthusiasm, interest and dedication were clear. Earl brought yet another critical resource to United Way - Earl was also an expert on the tax economics of charitable giving and long range financial planning, having authored the first Tax Economics of Charitable Gifts publication ever produced by Arthur Andersen. Earl became the founding planned giving/endowment committee chair. 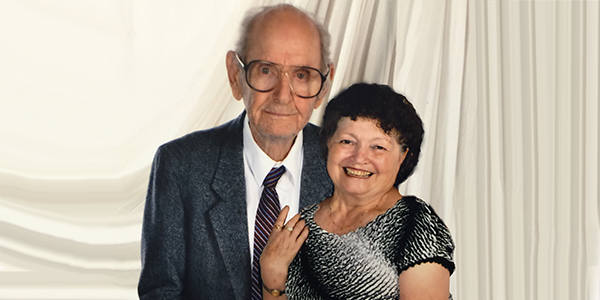 Earl was our dream volunteer leader, selflessly committing his time and his talent to the establishment and development of the planned giving program. Our current planned giving program is the direct result of volunteer extraordinaire, Earl Damitz. Their six children, 16 grandchildren and three great-grandchildren are central to their lives. They stay in touch with the grandkids through Facebook and Skype, texting, phone calls, and driving to attend plays, performances, sporting events and such. Earl and Merrilyn are three time Heritage Club donors, having committed gifts both personally and through Damitz, Brooks, Nightingale, Turner & Morrisset.